A start-up dedicated to reducing plastic pollution and an online tool designed to help businesses root out prejudice and bias in their external communications were among the winners in this year’s Bright Red Sparks competition. 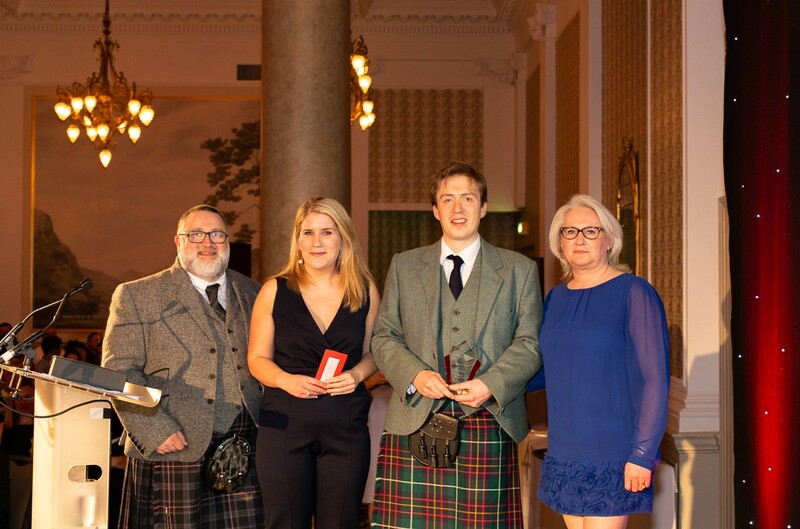 The Bright Red Sparks awards, an initiative of Edinburgh Napier University’s Bright Red Triangle enterprise arm, are given in recognition of innovative products and services developed by start-ups, spin-outs, fledgling companies and entrepreneurs. Six winners were selected from 16 shortlisted finalists over two judging rounds, the first conducted by the Bright Red Triangle core team followed by a second round with external category judges. Barbara Melville is currently developing an early-stage business, BiaScan, which will offer businesses a web-based “spellchecker for prejudice” to help with recruitment and increase diversity, productivity, innovation, and profit for businesses. Edinburgh Napier graduate Shannon Fontius’s early-stage start-up, echo shoppe ltd, aims to reduce plastic pollution by helping customers lead a more low-impact lifestyle, offering consumers a broad range of practical, ethically-sourced zero waste and refill products. The finalist judging panel described echo shoppe as being a “very well defined idea with both social and environmental impact that has demonstrated how to supplement existing businesses”. Web and mobile application developer Wildcat Applications’ latest project, Cenefits, helps public sector organisations manage and assess social and community benefits added to contracts. Longer term, Inglis is looking to extend this offering to private companies that issue their own tenders. 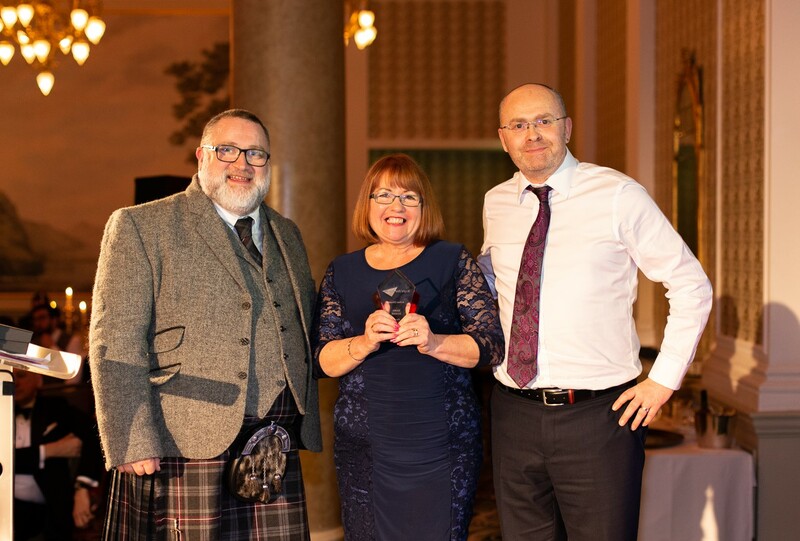 Professor Geraint Florida-James, a lecturer at Edinburgh Napier University’s School of Applied Sciences, and his team – Dr Tony Westbury, Dr Tom Campbell, Dr Lesley Ingram, Danny Cowe and Dawn Johnstone – demonstrated “exemplary collaboration between the public/private and academic sector with clear leadership and passion for the subject matter”. The Mountain Bike Centre of Scotland, based at Glentress in the Scottish Borders, is Scotland’s national centre for mountain biking innovation and excellence, supporting businesses of all sizes in developing new mountain bike products and services in an initiative led by Edinburgh Napier University and Developing Mountain Biking in Scotland – part of Cycling Scotland – in a partnership with Scottish Enterprise. 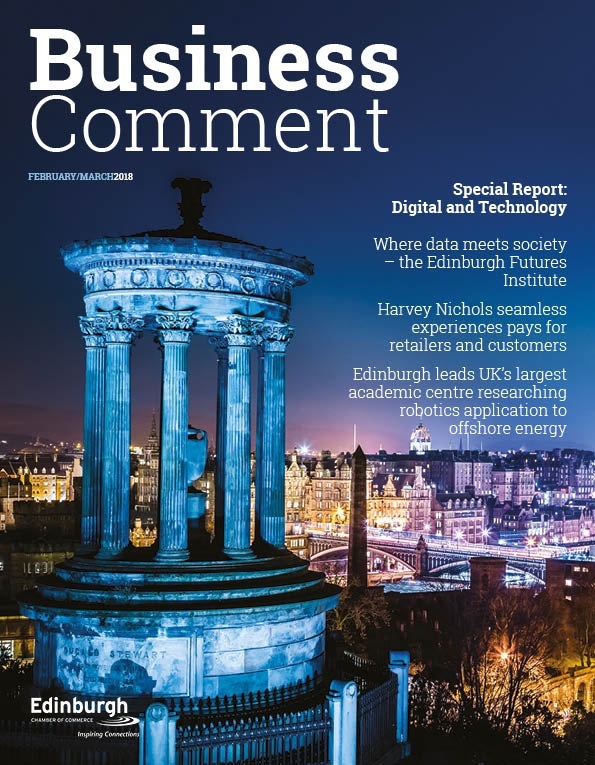 The Centre helps businesses with product research, development and testing through to launch as well as leading on knowledge transfer and forging links between business and academia. Edinburgh Napier Product Design student Maximilian Brooks won the Creative Consultants category prize for a solo client project with custom Land Rover workshop, Engine710. The judging panel described Brooks as having given a “very authentic, from the heart, confident and passionate presentation that holds an audience and creates a strong empathetic bond”. Dignity Boxes is a charity organisation providing free toiletries to the homeless and those experiencing social deprivation across Edinburgh and the Lothians. 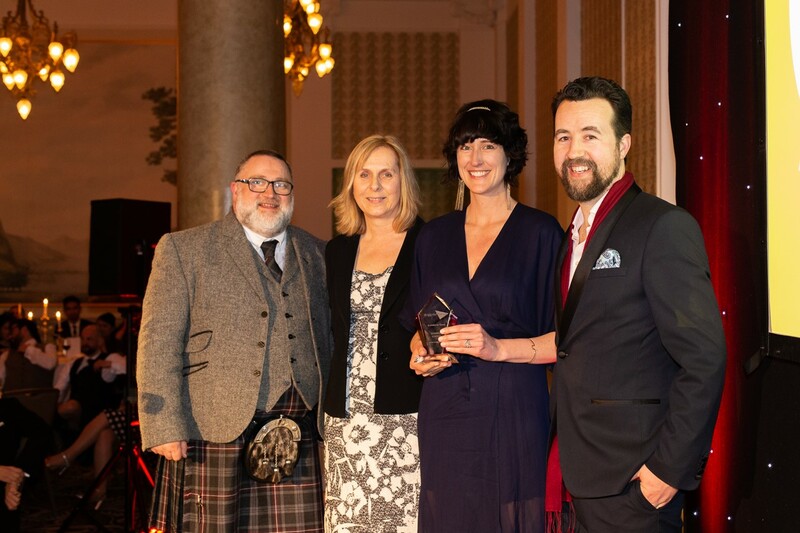 The judging panel said founder Isabel Dosser, a lecturer in palliative care within Edinburgh Napier’s School of Health and Social Care, has already made a tremendous impact since launching the charity in September 2018, with more than 20 volunteers now involved in the organisation. The judging panel said Isabel had given “a great presentation with clear objectives and plans for the prize money”. 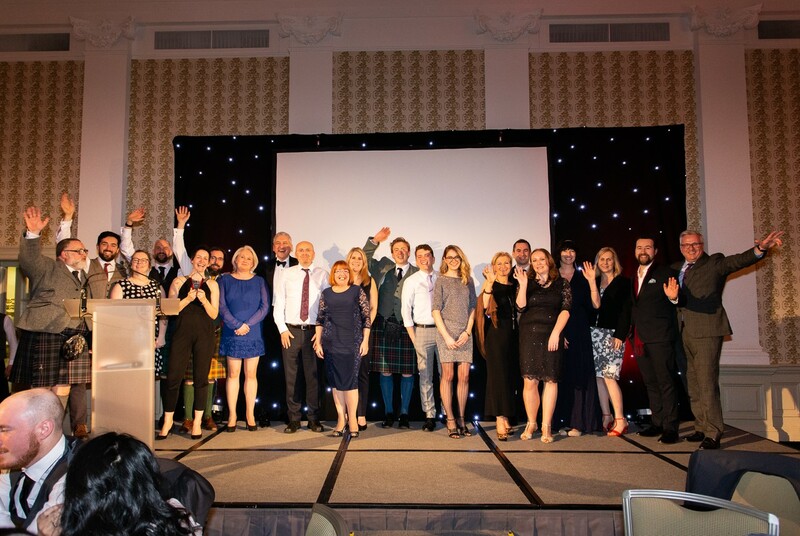 Commenting on this year’s winners, Nick Fannin, Head of Bright Red Triangle at Edinburgh Napier University, said: “The Bright Red Sparks Awards are a celebration of the breadth of innovation and enterprising activity across the Edinburgh Napier University family. We have been so impressed by the creativity, drive and enthusiasm of all of our applicants to solve problems, to create opportunities and to build new businesses. “It’s great to be able to reward all this hard work and we couldn’t have done it without the amazing support from our generous supporters and sponsors, Shepherd and Wedderburn, Johnston Carmichael, Santander Universities and the Moffat Charitable Trust. The winners will share £10,000 in prize money, and winners in the Going for Growth, Bright Ideas and Business for Good categories will share £14,000 of in kind legal support from law firm Shepherd and Wedderburn. John Morrison of award sponsor Shepherd and Wedderburn, said: “The quality of Bright Red Sparks entries was once again very impressive, demonstrating the innovative thinking and drive needed to build successful businesses and charitable ventures. Dr Monika Tomecka, co-founder of biotech start-up uFraction8 – the 2018 Bright Red Sparks Going for Growth category winner, said: “We were thrilled to win the Going for Growth award at the inaugural Bright Red Sparks awards last year, including support from Shepherd and Wedderburn. 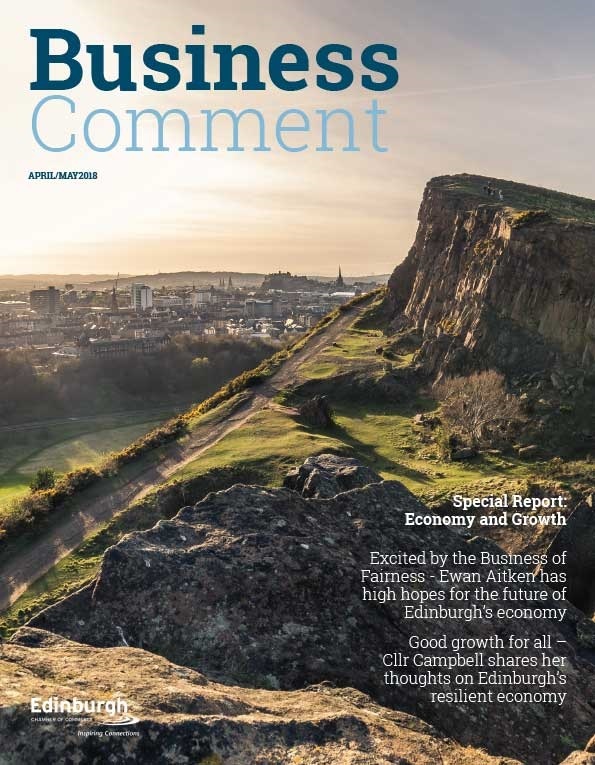 “Top quality, pragmatic, commercial advice is critically important to businesses looking to scale, and over the past year the team at Shepherd and Wedderburn have helped us expand our board and develop our intellectual property towards commercialisation. The keynote speaker at this year’s awards dinner was Lara Findlay, co-founder and director of mobile and web design company GearedApp. 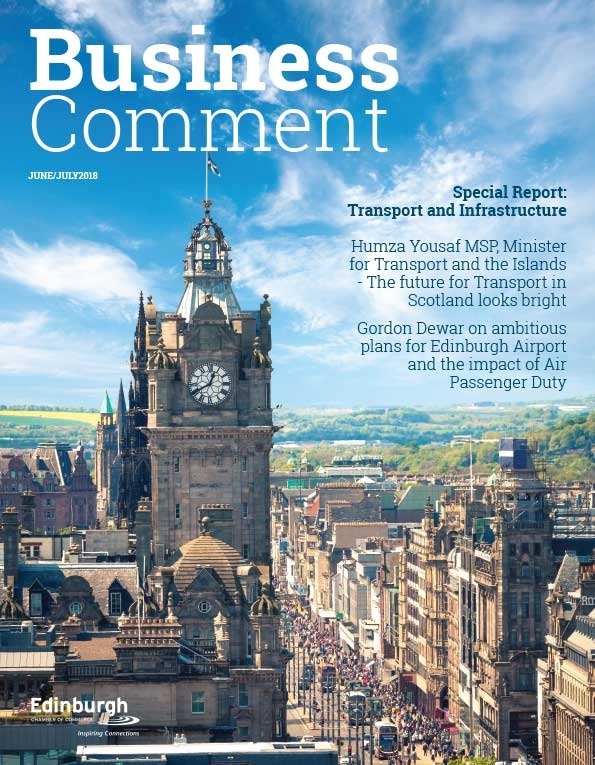 “As an accountancy firm that works with some of the country’s most innovative and high growth businesses, Johnston Carmichael were thrilled to help judge the ‘Going for Growth’ award.